Claude Monet Painting by the Edge of a Wood. en:1885. en:John Singer Sargent. Oil on canvas. 54.0 x 64.8 cm. en:Tate Gallery, en:London. 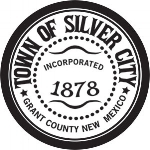 2ND ANNUAL PLEIN AIR COMPETITION IN SILVER CITY, NM. $10 advance artist registration by May 10, 2018. Complimentary T-shirts and website links for artists registering in advance. Event day registration (May 25-27) $15 (cash only). Limited quantities of event t-shirts will be available at a 25% discount for late registrants. 7:30am-9:00am Stamp all supports (up to 4 stamped supports per artist) for both categories at Visitor Center Parking Lot, 201 N Hudson St. Pay $15 entry fee or show e-receipt from e-RSVP to collect complimentary t-shirt, go paint. 9:00am-9:30am Stamp supports (late comers, see Friday) at SCAA tent at Gough Park, go paint! Submit finished & framed art with wire to the SCAA tent in Gough Park to exhibit for People’s Choice award for the remainder of the Festival.